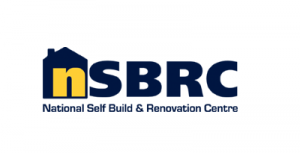 Whether your motivation is saving the environment or saving money, the programme of Eco Workshops at the NSBRC should have the answers you’re looking for! Cutting through the ‘greenwash’, the Eco Workshops bring you a wealth of independent and informed advice and information on the latest energy-efficient technologies, products and services; sustainability; environmentally responsible building principles and retrofitting of existing properties. Each Eco Workshop focuses on a particular phase or aspect of energy-efficient homebuilding, so you can pick and choose which Workshops are most relevant for you to attend. Euroclad are a National Self Build and Renovation Centre (NSBRC) partner and we have a permanent Vieo exhibition there; the UK’S only permanent venue for independent Advice & Support.